Scania is developing LNG and CNG engines and fuel systems for its truck range to meet demand for alternatively fuelled vehicles. 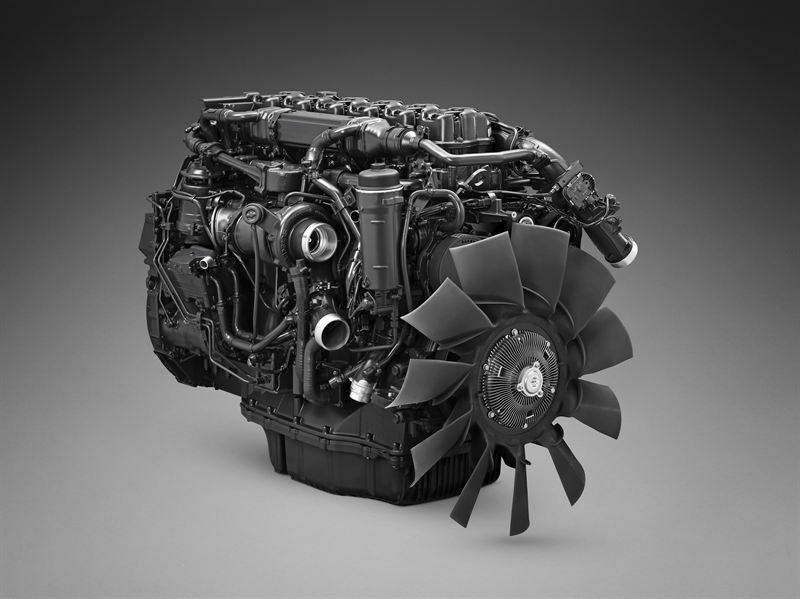 Scania’s launch of the OC13 gas engine marks the start of alternative fuel systems for the new truck generation. The OC13 is based on Scania’s well-proven 13-litre engine. The engine works according to the Otto principle with spark plugs and complete combustion. There is a growing interest in operating vehicles on biogas or natural gas in countries such as Italy and France as a result of increased availability, improved infrastructure and good economic viability for hauliers. The sustainability aspects are also important – even natural gas provides a CO2 reduction of approximately 15 percent. The tanks are an important aspect of gas fuel operations. Both LNG tanks (for refrigerated, liquefied gas) and CNG tanks (for compressed gas) can be ordered directly from Scania. LNG always provides greater range, as a significantly larger amount of fuel is available. Gas engines that operate according to the Otto cycle have shorter service intervals than diesel engines. However, Scania has achieved a significantly longer service interval, with the lifespan of the spark plugs currently setting the limit.